I was walking along a path in a historic Hawaiian Village when I saw this face looking back up at me. I couldn’t resist stopping and capturing an image. See the eyes, nose and mouth. 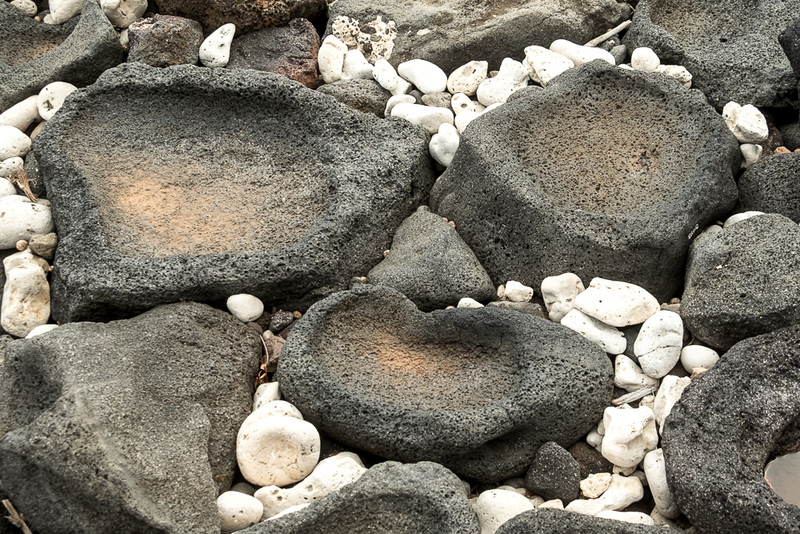 These small hollowed-out stones were used by the Hawaiians to collect salt. Sea water was poured into hollowed-out stones like these. Sun evaporated the water leaving pa’akai (salt crystals. Salt was used to preserve fish and season food. This entry was posted in Details, Historic Sites and tagged Hawaii, Lapakahi Historic Park, rocks, salt on May 29, 2017 by kgrafphoto.